This Jeffery Alexander Jensen 28″ Grey Vanity is the perfect mix of elegance and timeless style. Its All Wood, quality construction is paired with a simplistic design that will fit all styles! And…it’s Built in the U.S.A! Don’t forget your vanity top, sink & faucet to change the look of your bathroom without having to purchase them all separately! Limited Lifetime Warranty. *Price may vary by store location. 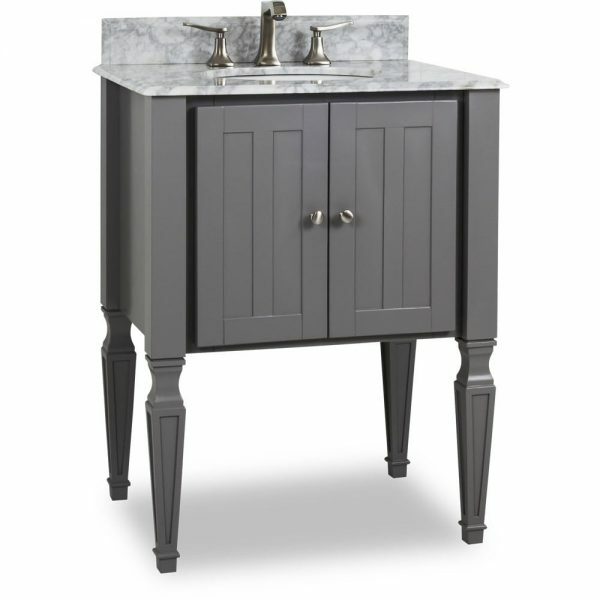 The Jeffery Alexander Jensen 28″ Grey Vanity is a beautiful addition for your home or office. Our selection of bathroom vanities and bath cabinets in Louisville, Newport and Cincinnati are second to none! The beauty of this Grey finish vanity from Hardware Resources is absolutly unmatched. Made from Wood, it’s it’ll give you a durable yet luxuriuos look. One of the best parts, it’s Built in the U.S.A! At only $644.9, you just can’t beat it! We offer this product in stock in limited quantities, but we have in-stock, surplus and custom order options that will fit every style and price point. Our vanities are all extremely high quality. We do not use particle board construction. It is known to warp and split with exposure to steam and moisture, which is virtually guaranteed for a bathroom vanity. We offer MDF, Plywood Construction and Solid Wood. You can speak to one of our talented designers to decide which option will be the best for you and your lifestyle. *Price May Vary By Store Location.